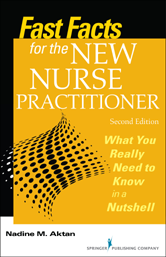 This book guides the reader through the entire process of becoming an NP, from the initial decision to the selection of the right educational program to licensure. It discusses the contractual relationship with institutions and related health providers, along with legal and administrative issues. Currently practicing NPs offer words of wisdom on how to survive the first year of practice, and stories from the author and her colleagues provide an intimate look at everyday realities. 1. Why Become a Nurse Practitioner? 24. Collaborative Practice: Harmonious or Burdensome?